I see why Hollyweirdos are jealous of American Sniper. First, most of those Leftist pukes can’t stand it when a patriotic movie does well. Sure they love the revenue, as they will profiteer from anything. But deep down, they hate what the film stands for. 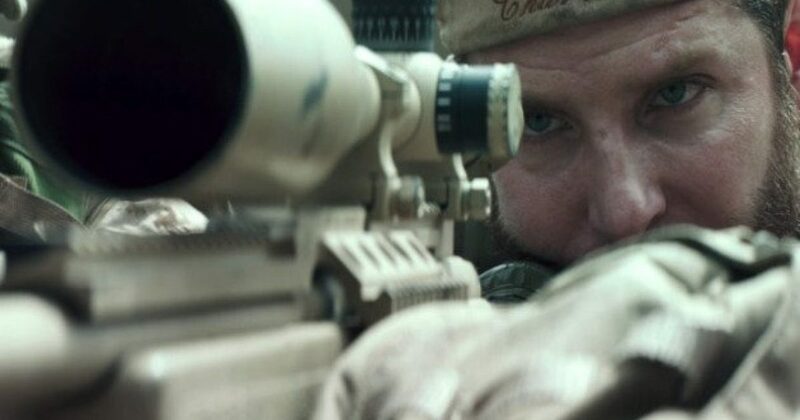 Next, American Sniper showcased the life of Chris Kyle in a way that reeks of Conservatism. Love of God, country, and family. Over the course of a couple of hours, we see a young Chris Kyle transform from a young Texan on the rodeo circuit to a determined, uncompromising warrior and man of valor. This was honestly one of the best movies about the military I’ve ever seen. The battle scenes were gritty and real, and made it clear that going to war isn’t a walk in the park or a video game. These are the real sacrifices these young people are making every day around the world. Some of my favorite scenes included watching Chris and his Dad go hunting, or praying at the dinner table. It was clear Chris got a firm foundation of right and wrong and love for his country at an early age. He was a true American hero, because he knew deep down that real evil existed in the world. And he made it his mission to eradicate it. Liberals are evil. They embrace evil, even create it. Conservatives recognize evil. We are ideologically opposed to Liberals for this reason, and that is why they want to destroy us.